← GOSSIP: TLC to return with new album! 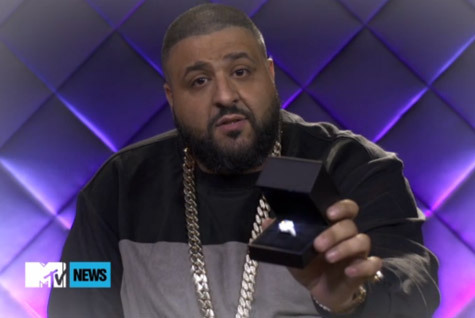 GOSSIP: @djkhaled proposes to @nickiminaj via MTV News! A video has been released of DJ Khaled proposing marriage to Nicki Minaj via MTV News, presenting her with a rock supposedly worth $500,000!! Whoa! It seems the ‘No New Friends‘ rapper has been hypnotized by that booty of Nicki‘s and is ready to take their friendship to the next level….marriage! Well Nicki…It’s all on you now! Yes, or no to DJ Khaled!? Watch the cringeworthy heartfelt video below!